Onychomycosis, a nail fungus that causes nail disfigurement, pain, and increased risk of soft tissue infection, impacts millions of people worldwide. There are several topical antifungal treatments currently available; however, treatment failure remains high due to a number of factors. The most recent treatment, a broad spectrum triazole called efinaconazole, is designed to improve nail penetration. It boasts the highest cure rates among other topical antifungals, but the cost for a bottle is more than $600, and full treatment calls for multiple bottles. 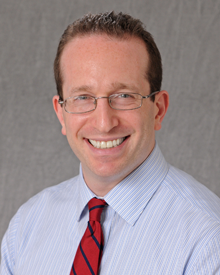 Adam Friedman, MD, professor of dermatology at the George Washington University School of Medicine and Health Sciences, and his team investigated the use of nanotechnology to improve efinaconazole treatment and make it more cost effective. They observed that when nitric oxide-releasing nanoparticles are combined with the efinaconazole, it achieves the same antifungal effects, but at a fraction of the amount of the medication alone needed to impart the same effect. "Nanotechnology is being studied and employed in many areas of medicine and surgery to better deliver established imaging and therapeutic agents to ultimately improve patient outcomes," said Friedman. "A quickly emerging roadblock in patient care is, unfortunately, access to medications due to rising cost and poor insurance coverage." The study, published in the Journal of Drugs in Dermatology, found that, when combined, the nanoparticles and the medication are more effective than both alone, opening the door to potentially better and more tolerable treatment regimens. An additional benefit is the ability of nanoparticles to access infections in difficult to reach locations, as penetration and retaining activity across the nail plate is a common impediment for many antifungals. "What we found was that we could impart the same antifungal activity at the highest concentrations tested of either alone by combining them at a fraction of these concentrations," Friedman explained. "The impact of this combo, which we visualized using electron microscopy as compared to either product alone, highlighted their synergistic damaging effects at concentrations that would be completely safe to human cells." Given these results, the authors note that it is worth further researching the synergy of nitric oxide-releasing nanoparticles and efinaconazole against onychomycosis to determine the efficacy of the treatment in a clinical setting.